The browser you use knows a lot about you and provides this information to its owner and visited sites if you allow it. However, there are special web browsers that are designed to protect your data and make Internet surfing as secure as possible. 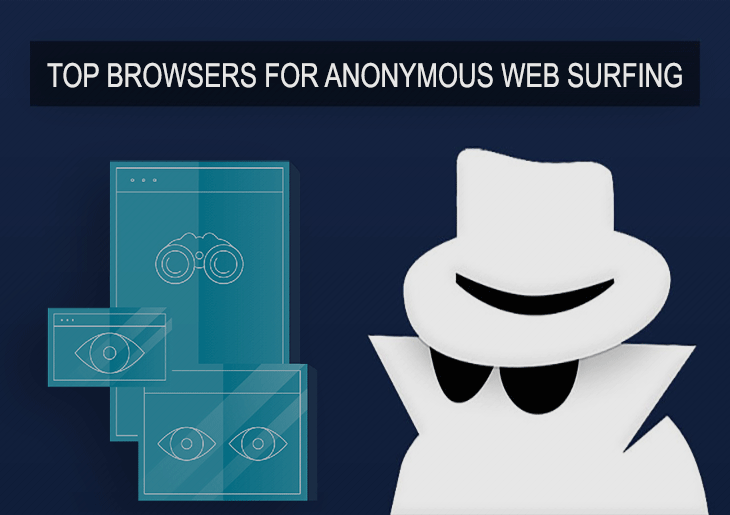 This article presents several well-known web browsers that will help you stay online incognito, let's take a look at them. Which of the 4 browsers below is better should be decided on the basis of personal needs. However, additional security is always a good option. As so, I would suggest installing a VPN software on your PC. For those who use Mac computers, I suggest reading review websites to select the best vpn for mac. And do not forget about mobile devices. You can find a lot of tips on how to choose the best vpn for iphone. Anonymous web browser is an important part of Internet security. Therefore, it is crucial to choose not a usual browser like Opera, Chrome, Firefox, IE, but the protected one - Tor, Globus, Epic Browser, or Pirate Browser. Let's see what each of these security solutions are. This web browser is available for Windows, Mac OS, and Linux. Tor developers have made it as easy as possible. It's very simple, you just need to download the browser, start it, and you will already use the Tor network. Although the network has been slow over the years, now this browser gives access to sites with quite good speed. The browser allows you to visit sites incognito, send messages, blog and work with applications that use the TCP protocol. The anonymity of the traffic is ensured by the fact that the data passes through several Tor servers - nodes, and after that, they enter the outside world through the output server. However, this does not always work perfectly, but if anonymity is the main criterion, then Tor will work fine. Many embedded plugins and services will be disabled as it is necessary to leave everything to prevent leakage of information. This web browser provides confidential Internet searches. Globus allows you to use Internet resources that are not available from your IP-address or on the territory of your country. Globus works like this: VPN agent sends traffic through Globus servers in the USA, Germany Russia, and other countries. The user chooses which server he wants to use. Since 2013, Epic Browser has moved to the Chromium engine and its main focus has been the protection of user privacy. This browser blocks ads, rogue downloads, and tracking cookies. The encryption of the connection in Epic is based on HTTPS / SSL. Additionally, the browser directs all traffic through proxy servers. There are no such functions that can lead to the disclosure of user actions, for example, there is no saved history, the cache is not recorded, and the session information is deleted when exiting from Epic. Also, one of this browser’s features includes a built-in proxy server, but this feature must be activated manually. Next, your default location is New Jersey. That is, all your requests in the browser are first sent through a proxy server and then go to the search engines. This does not allow search engines to save and match the user's requests for his IP. PirateBrowser is based on Mozilla Firefox and therefore they are similar in appearance. The web browser is equipped with a Tor client, as well as an extended set of proxy server tools. PirateBrowser is also intended for anonymous surfing on the Internet. It is often used to bypass geo blocks and protects against tracking. That is, the browser simply provides access to prohibited content.